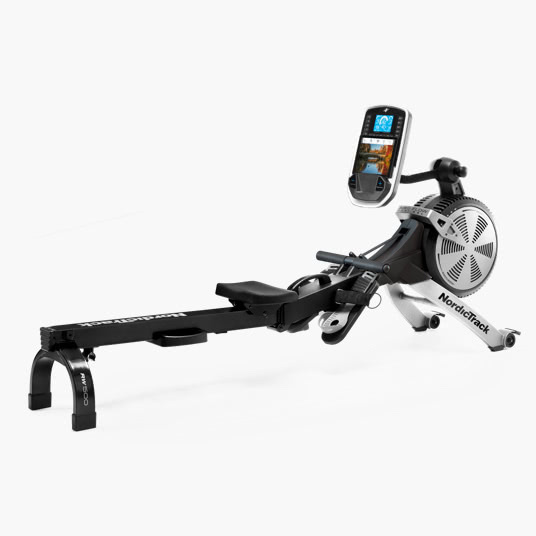 The RW500 is the first new NordicTrack rowing machine to be introduced in quite some time. It joins the RW200, which was previously the only rower the company offered, and the top of the line RW900 model. Now you have a much more advanced option as well, competing directly with the better machines on the market and offering features and capabilities you don't find elsewhere. The NordicTrack RW500 is mostly black with silver accents, with an easy folding SpaceSaver design and an inertia enhanced flywheel. The reviews of the NordicTrack RW500 rower have been quite positive, as customers have been looking for a more advanced option for their training. The entry level RW200 has a lot to offer, but it is definitely more of a beginner's machine. Now there is something for the more serious rower. One of the hallmarks of all of the NordicTrack cardio equipment, which includes treadmills, ellipticals and exercise bikes, is all of the extras that the company includes without raising the price. The RW500 continues that tradition, with comforts and capabilities that are rare, even on pricier rowing machines. It features a sleek, modern look with an oversized steel monorail. You get up to 26 levels of silent magnetic resistance (SMR) so you can work your way up to more difficult levels. There are 30 different built in workouts (10 more than the RW200), many more than you usually get on a home rowing machine. You also get one year free of the company's patented iFit Coach program, which gives you even more workouts, tracking and sharing capability, nutrition/sleep recommendations and perhaps the best feature of all, Google maps of any destination worldwide that you choose. You can watch these exotic destinations unfold on the included 10" Portal 10i tablet (not included on the base RW200 model), which attaches right to the machine under the LED screen. Note the recently company introduced a more advanced RW900 model with a 22" Smart HD touch screen! After the first free year, you can choose whether or not you want to continue the iFit program for a small yearly fee. Most people choose to extend it due to all of the features that it offers. Rounding on the features on the new NordicTrack RW500 are an ergonomic molded seat, oversized pedals, adjustable foot straps, soft touch handle, transport wheels, music port/speakers and a foldable SpaceSaver design. 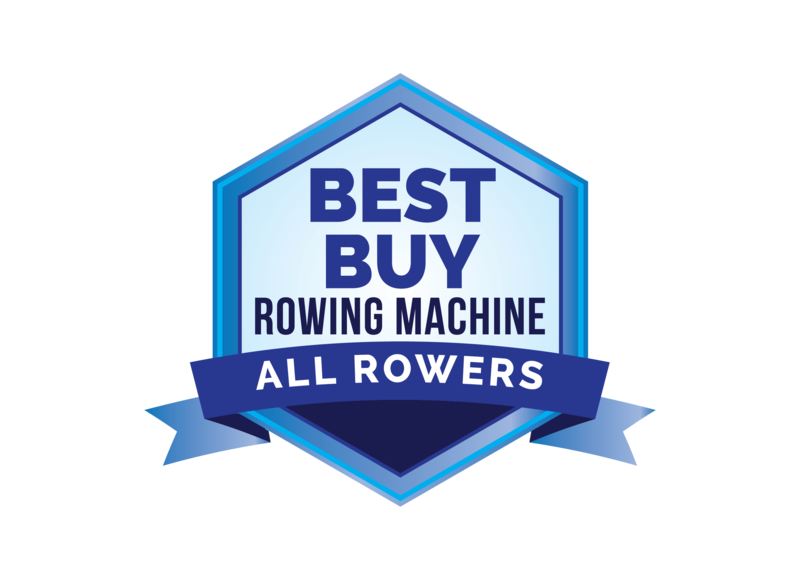 So you're getting a lot of extra features to make your rowing more enjoyable, which many users appreciate as most rowers in this price category don't come with tracking capability or nearly the amount of workout programs. The RW500 also comes with a stronger warranty than the base RW200: 10 years on the frame, 3 years on parts and 1 year labor. Max user capacity is still 250 lbs., however. How Does the NordicTrack RW500 Compare to the Competition? The RW500 is a big step up from its little brother, the RW200, but how does it stack up against the other players in the field? Feature wise, it definitely has most of the other brands beat, including the high end leaders Concept2, WaterRower, Life Fitness and the lower end Stamina, Sole, Lifecore and others. That's one area where it is very hard to compete with NordicTrack. They'll always have more bells and whistles than the other companies. If you're someone who wants/needs a little extra motivation to get on your rowing machine every day, definitely consider the RW500. There's plenty for you to get excited about. However, keep in mind that at a sale price of $1,499, it is competing directly with some of the heavy hitters in the industry. It's about $500 more expensive than the Concept 2 Model D, so you have to decide if you want more of a residential rowing machine with a ton of added features or a serious rower built for commercial use. How do you make that decision? It's really based on your needs. If you are a casual rower, and you're just using the machine to get in shape, tone the muscles and burn calories, then the NordicTrack RW500 is a great option for you. It is a bit more expensive than some of the competition but you're getting a lot more features, plus a free year of iFit Coach which is worth a few hundred dollars. However, if you are more of a serious rower, or you're training for competition, you want something more higher-end like the Concept 2 Model D. It has double the max weight capacity, at 500 lbs., so it's much more durable and solid. It also has a more advanced computer, which will likely give you more accurate results than the one on the RW500. The NordicTrack RW500 gives you more resistance levels, workout programs, adjustability and entertainment than the competition, but isn't quite as commercial grade as the higher end brands. We like the new NordicTrack RW500, as it has many of the features that were lacking on the RW200, and gives you a more advanced option. There are plenty of diverse workouts to choose from, customization options, lots of resistance levels and of course iFit Coach, a unique immersive experience that you just don't get anywhere else. If you're looking for a solid rowing machine with plenty of extras, you can't go wrong with the RW500. 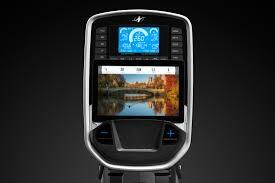 Also check out the new RW900 with the large 22" touch screen. However, if you want a commercial grade machine for some serious rowing, we would look at the less expensive Concept 2 rowing machines. Save $500 on the NordicTrack RW500! 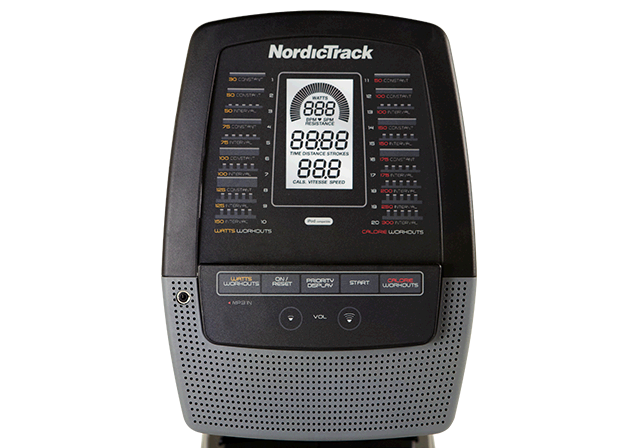 Get the popular NordicTrack RW500 on sale right now!